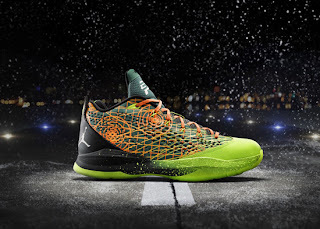 This "Christmas" themed colorway of the Jordan CP3.VII is set to hit stores tomorrow. 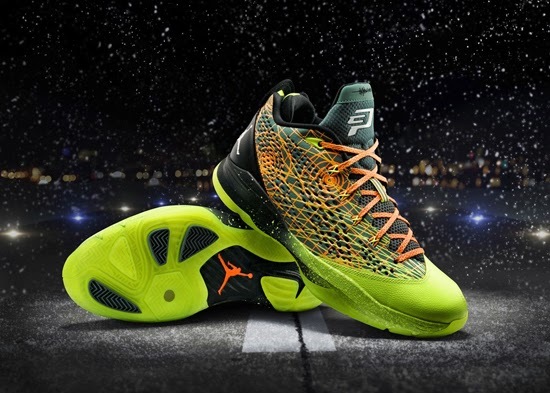 This Jordan CP3.VII is a part of the "Flight Before Christmas" Pack. It comes in a jade glaze, white, total orange and volt colorway. Featuring a unique flight map design throughout the upper. Look out for Chris Paul to wear these on-court during his Christmas Day game as the Los Angeles Clippers take on the Golden State Warriors. A limited release, look out for these at select Jordan Brand accounts worldwide on "Christmas Eve" Tuesday, December 24th, 2013. Retail is set at, $125. 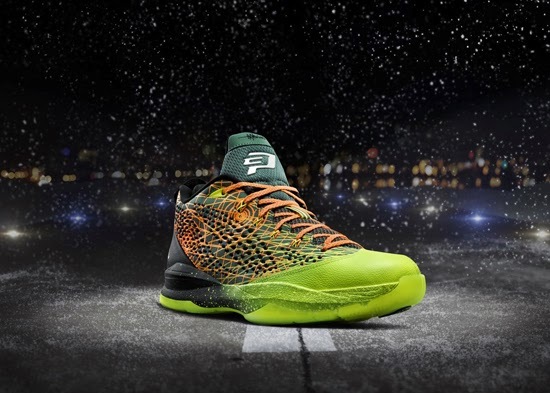 Enjoy the official images below of the "Flight Before Christmas" Jordan CP3.VII in jade glaze, white, total orange and volt. If you're interested in picking these up when they release, check in with your local spots to see if they will be receiving them. Those of you looking for a pair now can, grab them from eBay here.